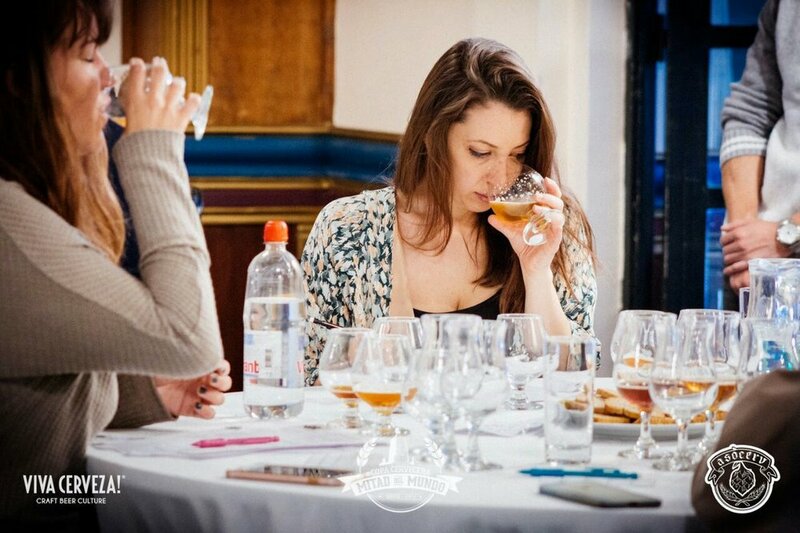 Beer is an unquestionably male-dominated industry. Men account for 71% of the beer brewing workforce and 96% of all brewmasters. But despite the male-dominated brewing industry we see today, history highlights the power of women in the beer industry because without them, the market wouldn’t even exist. Beer was the most common drink during the medieval times in Europe because it was relatively easy and cheap to make. Each person consumed about a gallon a day. So, how did it become so popular? Alewives. Alewives were women that would homebrew beer for their families and often sell to their communities to make more money. It wasn’t until after the Black Death that men became interested in turning beer into larger profits. As the standard of living increased, men took advantage of the already existing product and created an entirely new, globalized market. Meanwhile, most women were barred from entering the job market, leading to the male-dominated beer industry that exists today. Today, Megan Garrity is one of many women breaking into the craft brewing industry. She moved from her home in Los Angeles to Lima, Peru almost a decade ago for work. But she ended up quitting her job to start her own brewing company called Greenga, a play on the Spanish word for a female foreigner in Latin America, “gringa.” This decision wasn’t easy to make, Megan knew that “in order to make a decision [she] needed to know more about what [she] was getting into.” As the co-owner of Greenga Brewing and Vice President of the Beer Association in Peru, she involves herself heavily in the craft beer community by competing and judging at competitions around the world. Her favorite part about it all, she explains, is the people. Recently, Greenga won three medals in an Ecuadorian competition, bringing home gold, silver, and bronze. Despite quick success and recognition, however, Megan is often questioned for her ability to brew quality beer. In the face of comments that question the legitimacy of her work, women like Megan Garrity are organizing themselves to embrace their history in beer and support fellow women brewers in an international group called The Pink Boots Society. Megan looks up to women in the organization, such as the founder and a pioneer female in brewing, Teri Fahrendorf. She embraces the Pink Boots community and is fueled by everyone’s desire to help one another grow through tight-knit networking, education, and pushing boundaries to try new things. Megan continues to push the standards of craft beer and hopes to gain more exposure within the next couple of years. Assuredly she will, with a strong support network of empowered women and craft brewers across the world behind Greenga. Interested in discovering beer brewed by women in Chicago? Check out our story on Eris Brewery & Cider House. Why is it important to support women-owned businesses?